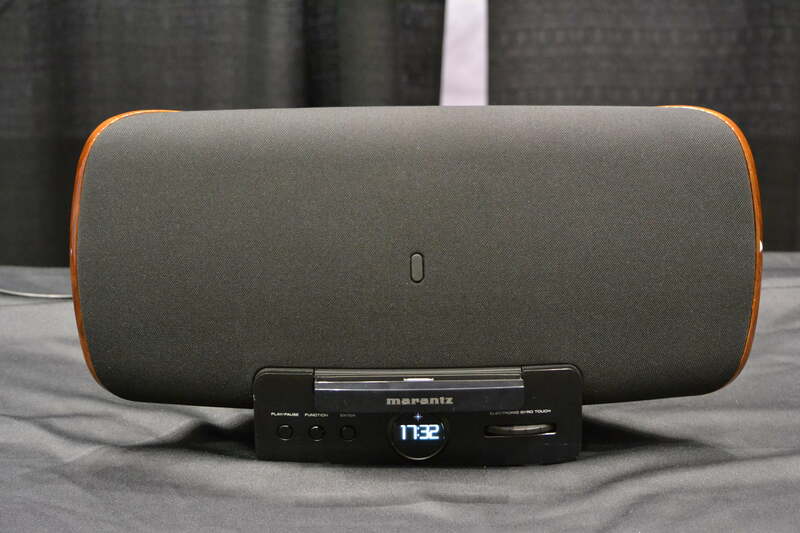 Marantz’s Consolette stands to be a rather polarizing product. You’ll either love its styling or really, really abhor it. Then there’s the matter of the stratopheric price tag. At $1,200, the Consolette is not for the faint of heart. 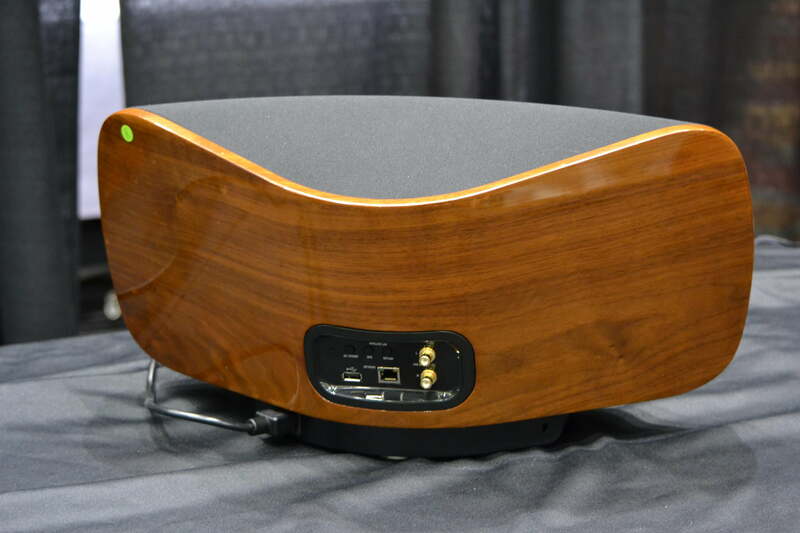 But if the Consolette’s design passes muster and you consider $1,200 to be chump change, then we think this new networked speaker dock from one of America’s classic audio companies is worth a close listen. Part of the Consolette’s appeal is its design, which takes some queues from the original 1952 Marantz Consolette pre-amp, which launched the brand. Prominently featured are a rich wooden backing, porthole window and the classic Marantz gyro-wheel, which is integrated into the speaker dock as a source selector. Considering the challenges of a noisy show floor, we thought the Consolette sounded very impressive. Its sonic signature is distinctly Marantz thanks in part to a unique “balanced load radiator” design that has the tweeter dispersing higher frequencies over a wider area than traditional tweeters. Bass was impressive, especially considering the large volume of the room, and midrange was lush and smooth. At almost double the price of Samsung’s DA-E750, the Consolette may be a hard sell, but we think enthusiasts with deep pockets will find it irresistible. You can expect to see the Consolette sometime in November.